A quality is part of our personality that comes naturally to us. For example, you might think of one of your friends as 'always being generous'. This means being generous is a characteristic or quality that a person has. While a skill is defined as a learned capability. A skill is not necessarily something we are born able to do, but it can be learnt. For example: Being able to communicate clearly is a skill that we learn to do which takes years of practise. So what are good leadership qualities in supervisors? Essentially, a good supervisor is able to foster a friendly, workplace where people feel good about their jobs, work safely and productively and are open to learning. Supervisors are linchpins within companies and their values and attitudes determine safety performance, job satisfaction, skills development and productivity. Friendly - Great supervisors love people. They're "people persons" and enjoy being around other people. They smile warmly and they say "hello" to each employee when they arrive for the day (such an under-rated thing to do, but it is so important to making people feel valued). They also consider others and want the best for them. Friendly supervisors are just great to work with and help people to enjoy their jobs. Communication - When it comes to any relationship, being able to talk clearly, honestly and openly is integral for the relationship to weather any storm. 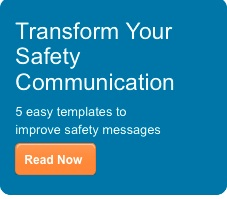 Great supervisors communicate very frequently. They don't hide information, instead they openly share information, particularly safety which is key for optimal safety performance. They change their communication to suit the audience to ensure people understand. The result is staff know that they can talk to their supervisor about anything which means a healthy, open and trusting workplace. 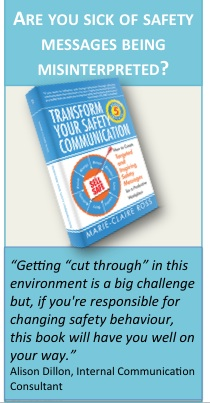 To get some tips on how to improve safety communication, get a free chapter from the book Transform your Safety Communication. Integrity - This is such an important leadership quality that has shown to be really missing from leadership in recent years with the noticeable issues that greedy financiers made to the world economy. Great supervisors have outstanding integrity levels. They never allow for poor work or safety performance. In fact, they will always pull people up when undertaking a dangerous practice. 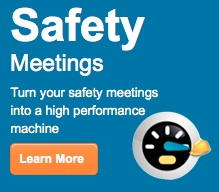 This is so important because what supervisors demonstrate and demand from staff determines safety performance levels. Supervisors with high integrity levels make sure everyone is treated equally, never ignore poor safety behaviours and act the right way in the workplace everyday, being seen as a shining example of great workplace behaviours. They also value safety above production pressures. Positive attitude - Being upbeat and positive works towards keeping the team motivated and increases energy levels. Happy staff that know that their work is making a difference end up working that little bit harder. From a safety perspective, supervisors that have a positive attitude towards safety ensure that safety performance is at a high standard. Research has found a correlation between negative safety attitudes from supervisors actually lowers safety standards. Ability to inspire - Safety is a dry topic. 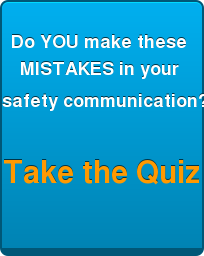 Many companies often complain that staff aren't engaged or interested in safety. Great supervisors lead safety meetings in a way that gets everyone involved and interested in safety. They rally the team and get them all discussing and thinking about safety solutions. Focus - Great supervisors are able to focus on the task at hand with laser-like sharpness. 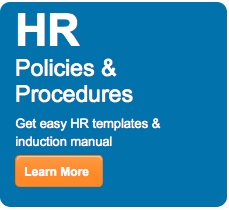 They're able to hone into results and know what they need to do an each employee to get to where they need to do. They're clear on what the company stands for and themselves. Great supervisors enable other people to focus, by being able to provide clarity on what needs to be done. Continual learning - Great supervisors accept that they need to constantly learn. They're open to advice from everyone - from the youngest employee right through to the oldest. They never discount a staff member believing that their age means that they don't really know (or gender or race). They look at themselves honestly to see where their capabilities can be improved and do something about it. They also know that they need to train by example and ensure that every meeting, conversation or visit is an opportunity to train those around them. Accountability - Great supervisors accept that they are responsible for their own actions. They own up when they have stuffed up. They say "sorry" when they've done the wrong thing. They're mature enough to take responsibility for their own decisions and actions. They don't pass blame or hide their stuff up. They also encourage, and demand, accountability from others. There you have it! Eight exceptionally good leadership qualities for supervisors. The good news is that by hiring or selecting supervisors with these leadership qualities, they will naturally set high safety standards that will give way to high job satisfaction, productivity levels and skills development. Being able to improve safety, naturally improves other areas. If you want to know how you can train your supervisors to improve their safety leadership skills, learn more about our Supervisor Leadership Skills for a Safe Workplace course. Before we go through the leadership qualities list, let's first distinguish what the difference is between leadership qualities and leadership skills.